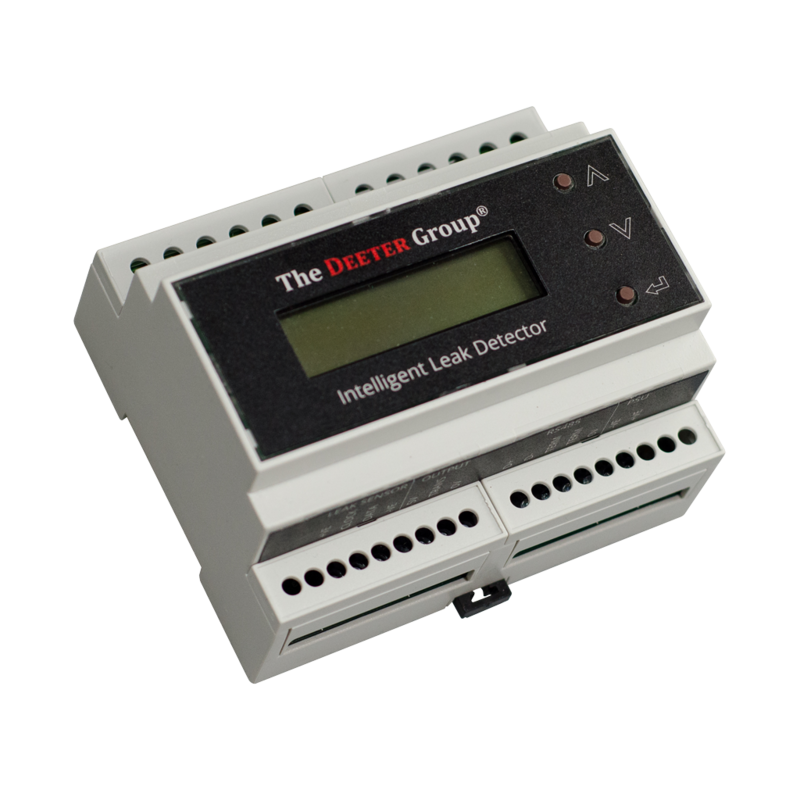 The Intelligent Leak Detector Controller has an LCD and three push-button switches to enable the user to access option menus and select from a variety of programmable features. During normal operation the display shows system status or the identity of any leaks. Power to the Controller can be from a mains supply (220-240VAC) or a low- voltage supply (10-24V), either AC or DC. The controller has a variety of process outputs including two SPDT relays to directly control mains powered pumps, valves or alarms, and an open-collector transistor is also provided for connection to a programmable logic controller (PLC), building management system (BMS) or for indirectly driving further valves or pumps via an external relay. An RS485 serial communications port is also included for remote monitoring. The relays and transistor output can be independently assigned to respond to any leak or to a leak within a group of sensors. Alternatively, they can be assigned to a fault condition.